Yay! 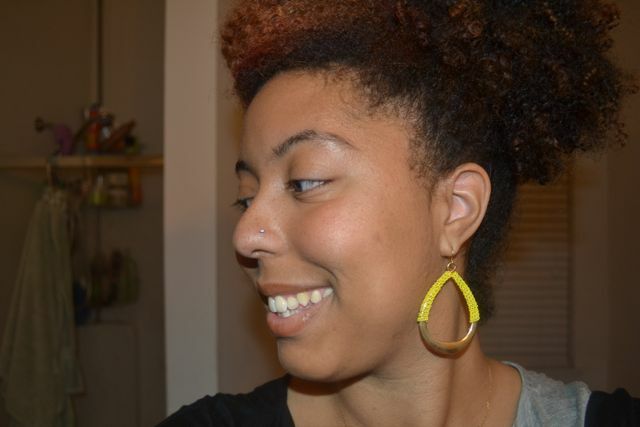 I have been trying out several BB creams and up until now, I have only found one brand that worked for my complexion. As we know, most brands only have BB shades up to my complexion which is CRAZY!!! How could my complexion be the deepest shade that offer? 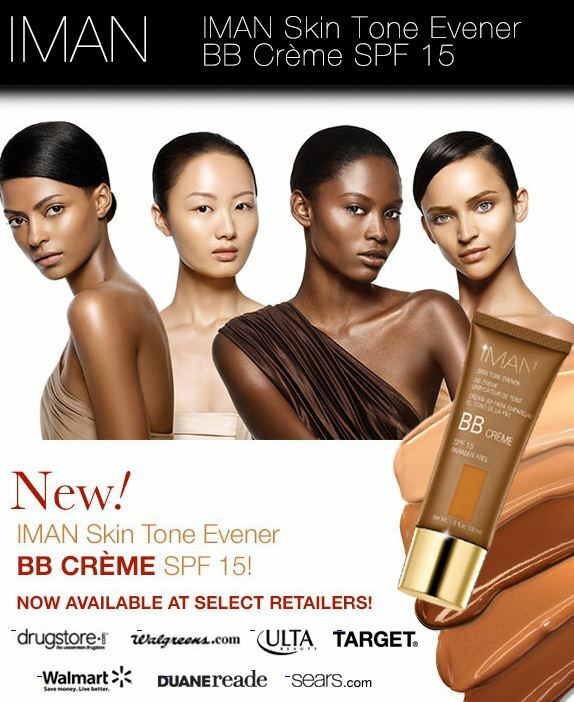 It’s really sad that alot of brands don’t cater to women of color..until Iman Cosmetics started their BB Creme line. YAY for Iman!!! I love the fact that Iman is amazing and continues to bring us new products for women of color..not just Black women..but if you notice in their advertising campaigns- their products include shades for Latina and Asian women as well. PROTECTS with SPF 15 & antioxidants. I used it by itself and not as a base (some people use BB Creme as a base). I used a stippling brush and I absolutely loved the results. It’s so perfect for the weather and not heavy. 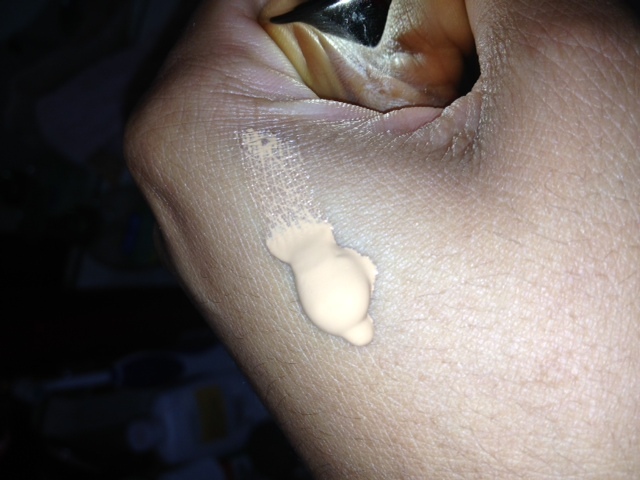 The product is literally light like a tinted moisturizer. It gives me a nice smooth complexion. Once I add a little bronzer and blush, it completes the look. I could totally just stop at the BB Creme but I wanted a little bit of color added to my cheeks. Here is a close up at the end of the day. It still looks smooth but doesn’t look like cakey makeup. 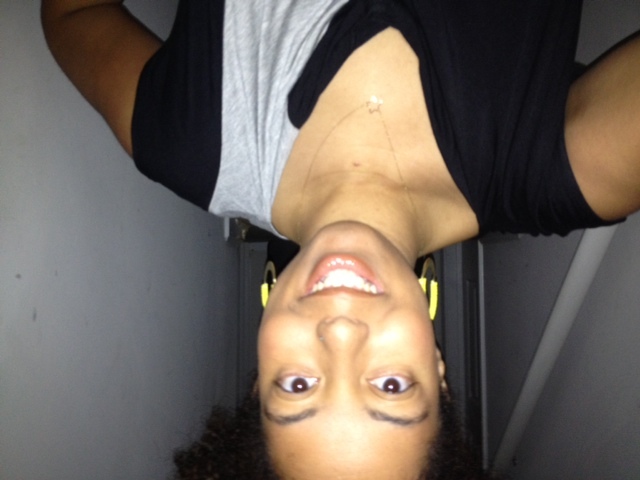 I’m loving the new IMAN BB Creme!! Have you tried BB Creme yet? Disclosure- This item was sent to me for review. My review is completely honest and based on my opinion of the product.